Is Florida school for boys haunted? The Florida school for boys has a long and dark history. Opening on the 1st of January 1900 as a boys reform school spread across an area 1400 acres. 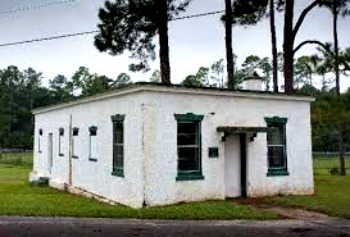 Originally being called the Marianna site after the town it was built in, the campus quickly gained a reputation for its cruelty and an inspection of the school in 1903 found that the children being kept there where frequently placed in leg irons. Originally the site was divided into two sub-campus's, named "Number 1" and "Number 2" or South side and North side. With North side being for colored students only and the south side only for whites. This segregation continued up until 1966 when national legislation changed greatly towards the treatment of non-whites. Also on the north side section lies the graveyard, which was little more than an area of ground to put dead children in shallow graves whenever they needed to dispose of bodies. Graves were almost always unmarked and normally very shallow, showing the minimal amount of effort was put in to bury the dead there. In 1929 an 11 room concrete detention block which soon became known as the white house was built on the campus which also included 2 cells, one for white and one for black students. All kinds of horrific punishments were carried out here until corporal punishment at the school was abolished in 1968, after this the '"white house" was used for storage. In 1967, the name of the Marianna campus was changed to the Arthur G. Dozier School for Boys, in honor of a former superintendent of the school. The school continued to operate until June 30, 2011 when due to budget issues it was closed down and the inmates were sent to other institutes around the state. Is the Florida school for boys haunted? 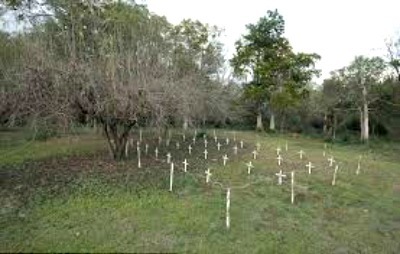 Since the Florida school for boys has had such a disturbing past its not hard to imagine why its thought to be haunted. There are many spots on the campus which people have reported to encounter spirits or some kind of ghostly happening. The graveyard is one such spot, and since the bodies of around 50 boys were found here in unmarked graves you can guess why some may be to angry or emotionally attached to the area to move on. Especially how some of the boys were said to be treated, such as a 13 year old who was sent to the school for rehabilitation after being caught trespassing in 1934, who died 38 days after arriving at the school. As you may have guessed the "White house" is the number one spot for any kind of ghostly activity that happens here due to the horrific things the staff and guards did to the children. After the school closed down a number of surviving inmates were interviewed and one particularly nasty story of a boy who was whipped 100 times is quoted by another surviving inmate as he was interviewed by ABC news. 'They whipped most of the skin off of him. The flesh on his back and upper legs were red, black and bloody like hamburger meat,' he said. He added that a few days later the boy went missing, but children at the school were too afraid to alert the authorities. As for the actual encounters people have reported everything from sudden, intense feelings of nausea to being touched by and unseen force, or in some cases people have even reported being pushed or barged past in this area. There are also reports of apparitions walking the grounds close to the building and strange brightly coloured orbs appearing on both photo and recording. The dormitory is the other main hotspot of the schools ghostly activity, with the main reason for this being a fire which broke out in 1914, killing 2 staff members and 6 inmates. People have claimed to hear muffled screams and whispers coming from this building from rooms known to be empty, also unexplainable cold spots and objects being moved around on their own also seems to be quite common.